Very often when I speak to people I realize that most people including Christians don’t know God at all. They have no idea what God’s will is and how it impacts them. They believe lies about God, mostly because that is what they heard in church and from other Christians. So often I hear people say: “God is tempting me,” or “teaching me a lesson,” or “maybe it’s not God’s will for us not to be healed/not to have a baby,” or “God allowed it,” or stuff like that and I get so sad, because then I know that that person does not know God’s character. I have said this many times, and I guess I’ll have to say it many more times, but God does not punish us with sickness or infertility. God does not give it to us to teach us a lesson, read this post if you’re not convinced by this post. Yes, most often we do learn lessons from it, but that is us, not God doing it. Most Christians still live under the old Covenant, and have no idea that they have a new Covenant with God or what that new Covenant entails – if you haven’t read it you can read more about it here. To prove who God is I’m going to quote a bit from And.rew Wom.mack’s teaching: Don’t limit God. “The normal doctrine in the church today is that God is almighty that He is sovereign and that nobody can limit God. I’ll agree that God is sovereign if you would use the word sovereign the way that the dictionary defines it. The dictionary says sovereign is first in rank, order or authority. It would be like saying he is at the top of the food chain. If you want to say that about God I agree 100%. God is almighty, He is first in command, but to say that God chooses everything, controls everything and if your life is a mess God willed it – that is wrong. It always amazes me when I go to funerals. People get up and say, “Well, we don’t know why God took this person.” They just automatically make an assumption that when you die it’s because your number is up, and you can’t die unless it’s God’s will. That is not so! That is absolutely untrue! God does not want us to die! He told us not to do it! We ate from the tree and we were the ones who ushered in death! Jesus came to destroy him who had power over death and that is the devil. It’s Satan who kills people! Satan comes only to steal and kill and destroy! (John 10:10 (NIV)) But Jesus said, “I have come that they may have life, and have it to the full.” God doesn’t control every person when they die! God doesn’t control if babies are born deformed and things like that! God isn’t the author of evil! God is a good God! In the Old Testament there are examples of the wrath of God, but praise God the Bible makes it very clear that under the new Covenant we have been redeemed from the curse and Jesus is not the one who is putting problems on you! It says in James 1:13-14 (NIV): “13 When tempted, no one should say, “God is tempting me.” For God cannot be tempted by evil, nor does he tempt anyone; 14 but each person is tempted when they are dragged away by their own evil desire and enticed.” God is not the author of evil, God is not doing these things and yet the church is saying this. God does not sovereignly rule your life like a chess piece and just determine what’s happening – you cannot blame God for the failures in your life. God has a perfect plan for every single person’s life and if you are not seeing that plan fulfilled, if your life isn’t very exciting it’s not God’s fault. If your life is not supernatural, your life is superficial. If your life is not going good it’s not because God doesn’t have a plan for you, it’s because you are not co-operating. You haven’t found out that plan, but I’m telling you that God doesn’t just sovereignly control your life and make it work out. You have to pursue the things of God in order to receive it. One of the reason people teach the doctrine of sovereignty is so that they can dodge all responsibility. For ministers it’s really a convenient theology – You can pray for a person and if they die, well then, “Que sera, sera, what will be, will be. “Well you don’t know why God took them; it must have been God’s will…” You know what? It saves you from having to deal with problems and reality and failure, so that is the reason it’s convenient. We can miss God’s will. Now God can take anything and work it for good (Romans 8:28 (NIV): “28 And we know that in all things God works for the good of those who love him, who have been called according to his purpose.”), but God didn’t cause it, God doesn’t do it and yet God can work something awesome out of anything negative that the devil throws at you. God gave you a free will and he respects your free will. God is not going to force you to do anything. You have to stir yourself up or you will sink to the bottom. You’ll find that when Jesus came to the earth he said, “I’m meek and lovely.” He had to be invited even when His disciples were drowning in Matt 14. Jesus came walking on the water, you know the reason He was walking on the water was to save His disciples, but He made as though He would have walked past them. He went and showed Himself to His disciples in the midst of the Sea of Galilee while they were drowning, and He didn’t come running up and say, “Hold on! I’m coming,” and then saved them. He came, showed Himself and they had to cry out and ask Him for help. It’s the same when Jesus met the two on the road to Emmaus. They had to invite Jesus to come in. God wants you to invite Him in, that’s just the way He is – He doesn’t force Himself. You’ve got the right to go to hell and He will defend your right – nobody can force you to choose God. You have to invite Him in – you have to open up the door. If you don’t have any power, any faith stirred up in the inside of you, if you aren’t believing God for anything then God cannot do exceedingly, abundantly above all you ask or think. God has to flow through somebody. God always uses a person; see again this goes against the whole teaching of the sovereignty of God. That God just sovereignly moves. There is no such thing as God moving independently of people. God moves through people. God always has to have a man or a woman, there has to be some person that God speaks through. That’s why God raised up Moses – He had to speak through him. We have to stop being passive and hope God will reach out to us and fix everything for us. We have to take responsibility for our actions, we need to stop putting the blame on others and start acting upon God’s word and live according to His will. The only way we can do that is to read the Bible and learn who God is, what He wants for us and what our responsibility is. That is going to take work. It is going to be more effort than just going to church once a week and being spoon-fed. It takes time, but I have found so many rewards in doing this. God has given me hope, He has given me a reason to live and He has healed me of many problems. It is worth it, believe me! I can also recommend that you read one more post I’ve written about who God is. I wanted to write about obedience to God for about a week now, but I’ve been struggling. For a little while now I’ve been getting messages on this topic and even in my quiet times I’ve heard the word “Obedience” in my head. So I know that God is trying to tell me something, but most of the messages were just snippets, nothing that I could write a whole post about, but I think I got it last night, suddenly I realized how I could write this so that you can understand the message I want to convey. God asked Abraham to leave his country and family, leave everything that was dear to him and go to an unknown destination, and Abraham went where God asked him to go. I don’t think we realize just how much God asked of Abraham, the implications and how hard it must have been. I mean, just think about it, say God asks something like that from you today… Would you know it was God and would you be obedient? What would everyone else say to you, if you should believe it comes from God, and you tell them about it? I’m sure Abraham must have received a lot of criticism and opinions, but he listened and followed God. Abraham was not totally obedient to God however, God told him to leave “your people and your father’s household,” but he took Lot with him, who was his nephew, his father’s brother’s son. They were so blessed that the land that God promised to Abraham became too small to hold both of them and for the sake of peace Abraham told Lot to choose a part – there was the fertile valley and the mountains to choose from and what did Lot do? He chose the best – the valley, for himself and left the mountains for Abraham! That’s was not nice and very ungrateful from Lot! I mean – Abraham should have and could have left him in Haran. He would not have been in that situation if it was not for Abraham. But I love Abraham’s attitude! He did not complain or even harbour any bad feelings towards Lot. He was happy to take the mountains! I wonder if Abraham thought of Lot almost like a son. Lot was certainly the closest family he had. I know in my life some of our family members say that I am my niece’s “second mom”, because we are so very close. We read four times about the promise of children to Abraham, but Sarah got impatient. She got tired of waiting and decided to make a plan of her own. She convinced Abraham to go ahead with this plan, and Hagar got pregnant with Ishmael. This was quite a common practice in Biblical times and is equivalent to traditional surrogacy these days. I have blogged about it previously and you can read about it here. But do you see that the plan of Sarah did not work out well? There was tension between Hagar and Sarah, because Hager was able to do what Sarah couldn’t. After Isaac was born Sarah convinced Abraham to send Hagar and Ishmael away. God did bless Ishmael, because he also became the father to a nation, just not the “chosen nation.” Ishmael eventually became the forefather of the Ishmaelites and today he is the forefather of the Mus.lims. Isaac was what God had originally planned for Sarah and Abraham. And it was a great plan that worked out perfectly. But can you see from the first scripture that I quoted that Abraham was 75 years old when he first got the promise of a son? Abraham was 100 years old when Isaac was eventually born, so it took 25 years for that promise to become reality. That is a long time to wait on and trust God. Now I can totally understand that Abraham and Sarah got impatient and I’m sure a lot of us would have made the same mistakes. Probably all of us, I think… I know I am tempted every day to take matters in my own hands and to try and make a plan of my own. It is totally human to do that, but it’s not God’s original plan. God’s original plan was so much better than what Abraham and Sarah could plan on their own. Even the situation with Lot didn’t work out well, again because Abraham was disobedient to God. I used to be a total control freak – especially regarding my fertility. I think I’m one of the most difficult patients my FS’s must have ever had! I questioned everything that was suggested. I researched everything that could have been a problem with me or my DH, and I suggested treatments or medication. I am amazed that both the FS’s were so patient with me. I think even DH was embarrassed at times, because I really grilled both doctors as if they were in an interview with me, and basically told them how to do their job – me who has just high school biology behind me versus a doctor who has studied probably more than 10 years to be able to do his job. 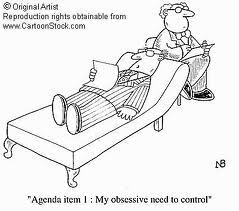 I think it’s only recently that I changed into this control freak, well regarding our fertility treatments anyway – say the last year and a half. I think it’s because I trusted doctors and I still didn’t get a positive pregnancy test. It cost us a lot of money and a lot of heartbreak, and I felt burned. So I decided not to trust anymore, and only rely on myself. After our miscarriage and after Shumi was diagnosed with his cancer, I think I freaked out a bit, because matters were out of my control no matter what I tried. There was nothing I could do. Thank God that he has guided me in this time, and one of the things that I have learnt is that I must trust Him completely with everything. I thought I trusted Him – I did in certain matters, but I cannot say I trusted Him completely. I still wanted to control certain things. During the last 5 months God has been chipping away at this control issue of mine – it was not something that I was willing to let go easily. Slowly I was able to let go of certain things, one at a time, and I think I am finally at the point where I can now say that it is now 100% in God’s hands. The decision to not go for anymore fertility treatments was the last little bit that I had to let go. And I’m happy about that decision. I am calm and at peace. I’m not worried that we won’t have children or that I’ve made a mistake – I trust that God will work it all out for good. 1. With our last IVF I was worried that I would have adenomyosis and that it would impact negatively on our IVF. The month prior to that I was in considerable pain all month and the FS actually picked it up on a scan when I complained about the pain to him. It looked like huge black circles in the wall of my uterus – almost like the follicles look on your ovaries when you are close to triggering, and thanks to reading Ja.ckie Mi.ze’s book – Su.perna.tural Child.birth I confessed that I will have no adenomyosis and there was nothing – no sign of it at all during any of our scans. You can read about it in this post. 2. During this same cycle I got another polyp (see this post) – something we tried to avoid by being on a low dose stimulation cycle as I got polyps with my last IUI and second IVF. I had an operation to remove one a few months earlier and I was really scared of getting another and that it would affect implantation. Fortunately I also confessed that the polyp would go away or shrink so much that it would not be an issue and that is exactly what happened. See here: The polyp was so small it could almost not be detected by ultrasound when they did ET – this has never happened to me – the polyps only got bigger as my lining thickened, and the FS could not explain it either. 3. I must put our pregnancy in here too – for me this is still a miracle that I ever got to see a BFP – as it took a full 10,5 years to see it for the first time! Even though it ended in a miscarriage, it is still a miracle to me, and it’s given me hope – because now I know I can get pregnant. That was something that at one stage I thought was totally impossible! I can with confidence now classify our pregnancy as a miracle, because I know now that God did not cause or allowed the miscarriage, it’s not His fault, so that does not make it less of a miracle. 4. There is the time I suddenly saw Shumi had a big lump on his back and it was rock hard, it felt like bone – that really shook me. Once again with the help of God that lump disappeared completely! There is still no trace of it! Shumi also had a little hard bump next to his tail one day, that is also almost completely gone and once DH felt Shumi’s palate, because the vet said that it would go soft and that would be one of the bad symptoms, showing us that he is deteriorating, and it was actually getting soft on the left hand side underneath where his tumour is supposed to be. DH felt Shumi’s palate again a few weeks ago and there is no sign of a soft spot. The latest breakthrough is that Shumi had real trouble sleeping at night and he woke us up at least twice every night with his hard breathing and gasping for air. So I started to say things like: “Shumi your nostrils are both open and you can breathe easily and you will have a good night’s sleep without waking up every now and then.” He has slept through since then, and his one nostril was even unblocked for a little bit that one day last week. His eye also looks a lot better! So you see God reminded me that he has done some wonderful miracles already, and that it is not impossible to do the rest. It seems that some things go away quicker and easier than others, but I think that has to do with what the problem is and how I see that problem. For instance the polyp I had was not such a big issue to me so that was resolved in about 5 days. Shumi’s cancer and my infertility was something that was not so easy to believe that it would go away and I had to work on trusting God that He can heal us of it completely. Now, I’m convinced and I cannot wait for the proof that Shumi is completely healed and the proof that I am pregnant! So with the combination of these two thoughts I realized that I’m going to have to give up something. Something that is incredibly hard for me to do. I have to give up all thoughts and dreams of going for fertility treatment again. I must make the decision that all treatments are over. Now let me tell you my “flesh” screamed against that thought! I didn’t want to promise God that no matter what – I will not go for treatments again – ever! Even if we somehow manage to get the funds, we will not go for anymore treatments! But the more I thought about it, the more I realised that that is what I have to do and in the end it took me mere minutes to make the decision. So with a heavy heart and my mind screaming: “No! Don’t do it!” I got down on my knees and told God that I give it all into His hands. I’m going to trust Him completely now – He is now my only hope for having children, just like He is my only hope for healing Shumi. I have to get the thoughts of keeping a “back door” open or a “plan B” out of my mind. Afterwards I kept thinking of the situation Abraham was in with Isaac – God asked him to sacrifice his son – the one that was promised to him and for whom they waited so long, and Abraham was obedient. In the end he had to fight an angel of God to stop him from going ahead with the sacrifice. I’m sure it was so hard – I’m sure Abraham’s flesh also screamed and complained and did not want to do it, but he was obedient, and in the end God had a plan. I feel I have to sacrifice my backup plans here, and trust that God will come through for me like He did for Abraham. So why was it so difficult? I have believed for a miracle anyway – I wasn’t planning on going for treatment so why was it so difficult to let this go? Like I have said before I totally believe I can get pregnant again with the help of my FS. I think we have found the recipe that would ensure another pregnancy. So it was not so difficult to keep that option open as an alternative should things not work out as I hope it would. I also think that I would be giving up on what I’ve been taught and that would surely result in a victory for the devil and I’m not going to give that to him! I know the thought that there is a chance that we might end up childless because of this decision did cross my mind, but I think I have a better chance trusting in God than trusting in myself. I mean I can get pregnant again, but that still does not guarantee a healthy live baby. If I’m honest with myself I really think my best hope is in God. That He will let a healthy euploid (chromosomally normal) egg be fertilised by a healthy euploid sperm, and let that result in a healthy full term baby. I don’t know if I can verbalize exactly what is going through my mind, but I just have this feeling that God brought me on this road, taught me so much about faith healing that I cannot just decide what I want to take and what I want to discard. I also feel that I would be disobedient to God should I go for treatments (please note – I’m not saying this is the case for everybody – just for me in my situation) and I don’t want to be disobedient. I cannot see how God would teach me all this about faith healing and I do not apply it to my life in all aspects. I believe God has a plan, a plan that I cannot comprehend or understand, but I must trust Him. I want to get my life right as much as possible and get out of the wilderness and into the Promised Land. “It is impossible to get from wrong behaviour to right behaviour without first changing thoughts. A passive person may want to do the right thing, but he will never do so unless he purposely activates his mind and lines it up with God’s Word and will. An example that comes to mind involves a man who once got into the prayer line at one of my seminars. He had a problem with lust. He really loved his wife and did not want their marriage to be destroyed, but his problem needed to be solved or he would surely ruin his marriage. Now my situation is not remotely similar than this story, but what struck me was what she said about our thoughts. I thought about going back to see my FS often. I would think of alternatives to IVF that we could maybe try that might work out cheaper, and still give us a chance at pregnancy. I would think about contacting the sister at the clinic to talk to her, hoping that she could suggest something that I haven’t thought about, or just to make an appointment and hoping my FS would have some wonderful suggestion that would work. I also hoped for some plan that would supply us with the money for an IVF. Over the past weekend I realized that I should stop thinking these thoughts, but it only struck me this morning that the only way for me stop this is to resolve that I would never go back to treatments again… After reading the above part on Joy.ce’s book I feel that I made the right decision. This message is the confirmation that what I did this morning was the right thing to do. Lately I have been listening a lot to what people say in general about infertility. I’m not just talking about the “fertiles” that have opinions on infertility here, but also actual Christians that are infertile. It even reminded me of things I have said myself, out loud to others, or even in prayers to God. And I realised that we are being extremely unfair to God. He is blamed for a lot of things that is not His fault. Mostly it is because I have learnt so much lately and my eyes have been opened to a lot of lies that we believe. I want to try to explain to you with examples, so that you will hopefully also get some understanding and revelation about these things. 1. “I know/believe God can make me pregnant, I just don’t know if it’s His will.” I was really guilty of this one. I have said it myself, I might even have blogged it, and I’ve said it many, many times in my prayers. “God, I believe in miracles, I believe you can do amazing wonderful things beyond my imagination, but I don’t know if it’s your will for me to get pregnant or have children…” When I did the Divine Healing Technician course Curry Blake explained it very nicely, and was I convicted! If you have a child (Sorry, not an ideal example for this blog!) and that child wanted something from you, let’s say a toy, or a bike – how would you feel if that child said to you: “Mom, I know it is in your ability to give it to me (you can afford it), but I don’t know if you want to…” Parents want to give their children everything they want, because they love them. If it’s at all possible you would do everything to your ability to help them, it is never a question of whether you want to or not and it is actually very insulting if your child should imply that you don’t want to… It’s the same with God – we are insulting Him when we say: “God I know you can give me a baby, but I don’t think/know if you want to…” We say things like this because we don’t know God, and we don’t know what His will is. 3. “God had to break me/my will, so that I could conform to His will.” This is once again a statement from someone who does not know God. God will not break you. God will not hurt you. It’s the devil that hurts, and breaks and destroys… God will not stoop to the same level as the devil to accomplish anything in your life. Here are some scriptures that describes who God is: 1 John 4:8-10, 16 (NIV): “8 Whoever does not love does not know God, because God is love. 9 This is how God showed his love among us: He sent his one and only Son into the world that we might live through him. 10 This is love: not that we loved God, but that he loved us and sent his Son as an atoning sacrifice for our sins. 16 And so we know and rely on the love God has for us. God is love. Whoever lives in love lives in God, and God in him.” 1 John 1:5 (NIV): “5 This is the message we have heard from him and declare to you: God is light; in him there is no darkness at all.” Psalm 92:15 (NIV): “15 proclaiming, The LORD is upright; he is my Rock, and there is no wickedness in him.” From these scriptures we can see that God loves us, so incredibly much that He sacrificed His Son for us, and that he has no wickedness or evil in Him so he cannot hurt us. So do you see that it is God’s Will for us to have children? Most of these scriptures are also found in the Old Testament so that means it is Old Covenant scriptures – if it was God’s will under the Old Covenant is definitely His will under the New Covenant! 8. “They say children are a blessing from God. Then why am I not being blessed?” I believe it’s not a matter of not being blessed, but rather a matter of your blessings being stolen from you. In John 10:10 (NIV) it says: “10 The thief comes only to steal and kill and destroy; I have come that they may have life, and have it to the full.” I’m sure if you looked at the scriptures above about God’s will for us regarding children you will see that children are definitely a blessing from God, unfortunately we don’t always receive those blessings, but we cannot blame that on God! He asked us what you get when you mix water and dust together – clay, so as you look at the above verses you can surmise that we are made from clay – we are the clay that is mentioned in the upcoming verses. When Jeremiah got to the potter’s house, the potter had made a mistake, so he took the same clay and started over, and made a perfect pot. Just like the potter, God wants to make something useful of his children. God is patient, and He does not want to destroy, He would rather start over and still try to make something useful from your life. It’s in His power to make a success out of something that was originally a failure. Isn’t it comforting to know that God can use the same clay over and over and over until He can make that perfect item? I have the book “The Wo.rd, the Na.me, the Blo.od” by Joy.ce Mey.er and in the book it describes the incredible power that is in the Word of God, The name of Jesus Christ and the blood of Jesus Christ. I want to concentrate on confessing the word today as I’ve found it so helpful in the past. I have confessed scriptures of healing, promises of God regarding children and infertility, verses of faith and verses concerning fear out loud and I can testify that it has helped me tremendously! I have been healed of my sciatica pain, some other ailments and now God has blessed us with the miracle of pregnancy within one month of confessions regarding my infertility. You see, I always thought that it might not be God’s will for us to have children. I thought that He might have another plan for us, but I could not see what the other plan was. Now I know that I believed a lie from Satan and that’s what hindered us all along. As soon as the lie was exposed I got pregnant. Isn’t that amazing? I want to quote Joy.ce Mey.er from her abovementioned book as she says it so much better than I ever can: “The Word of God is light; it overpowers darkness. The Word of God is life; it overcomes death. When we begin to learn the Word, it starts dividing things for us; it begins separating truth from lies. As a result, we begin to realize what is of the spirit and what is of the soul. Soon we know what actions are approved of God and what actions are not. The Word exposes wrong motives, wrong thoughts and wrong words. “ A believer who knows the truth is a major defeat to Satan. The devil’s work in the life of the Christian is based upon deception. Deception is a result of lies that are believed. As long as I believed the wrong thing, I was deceived. When I learned the truth, the deception was uncovered, and I was set free. Satan hates and fears the Word. He will do anything possible to prevent us from learning God’s Word. If we do hear or study the Word, the devil will attempt immediately to steal it from us. He does not want the Word to take root in our hearts and begin to produce good fruit in our lives. Beloved, we must be informed about how the enemy hates and fears the Word of God. This knowledge will cause us to become more determined than ever to make the Word of God a priority in our lives. I can highly recommend the above book if you are interested in learning more. Joy.ce Mey.er has another excellent book: “The sec.ret po.wer of spea.king God’s Wo.rd” which has a lot of scriptures in specific categories that you can study and confess out loud. If you want a specific book regarding infertility, miscarriages and pregnancy I would recommend “Super.natural Child.birth” by Jac.kie Mi.ze where she concentrates on scriptures regarding barrenness, miscarriages and pregnancy and the fears associated with it all. There are also some amazing testimonies in that book!